Speaking of marriage, florals are perfect to wear to spring weddings! And they are everywhere this season. I've linked some of my favorite floral dresses below. One of my favorite parts about this outfit are the white pumps that I wore with this dress. The ones I'm wearing are from Nine West and I've linked them below. I just feel like they add an extra pop. I think it's because this dress is super colorful and the shoe is not, but the white color is very bright and provides a sharp contrast. I also really love how these pumps look with jeans. This dress is from Anthropologie. 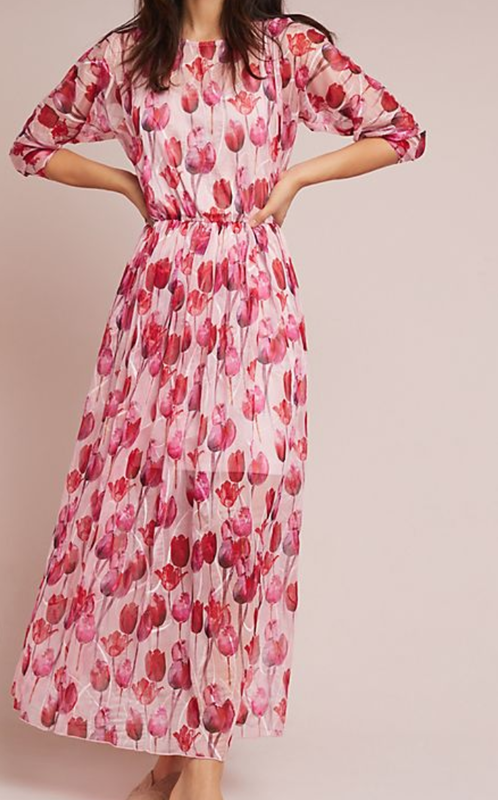 It's linked below along with a bunch of other floral dresses that I've been eyeing.